Whether you work abroad, or make regular international money transfers to support your child’s education abroad, you need to know certain facts about foreign exchange rates in order to get the most out of your overseas money transfers. While it’s a lot easier to let banks or online remittance services take charge of your money, you could end up losing large amounts of money to FX spreads or hidden costs that these institutions stealthily charge you. Hence, it is important to have a basic understanding of FX rates and how the market drives it. And if you thought learning about foreign exchange rate was not your cup of tea, we are here to make it easy for you, with this layman’s guide on FX rates. Get going, guys! Foreign exchange rate, or FX Rate, is the value of a nation’s currency in comparison to that of another nation, usually termed as the domestic currency and the foreign currency, also called the base and the counter currency. If the USD/AUD exchange rate is 1.30, it means that it costs a person 1.30 Australian dollars to buy 1 U.S. dollar. The first currency listed (USD) always stands for one unit of that currency; the exchange rate shows how much of the second currency (AUD) is needed to purchase that one unit of the first (USD). Real-Time FX Rate are rates that the provider receives from their rate provider. This rate is devoid of any mark-up of profit margin. 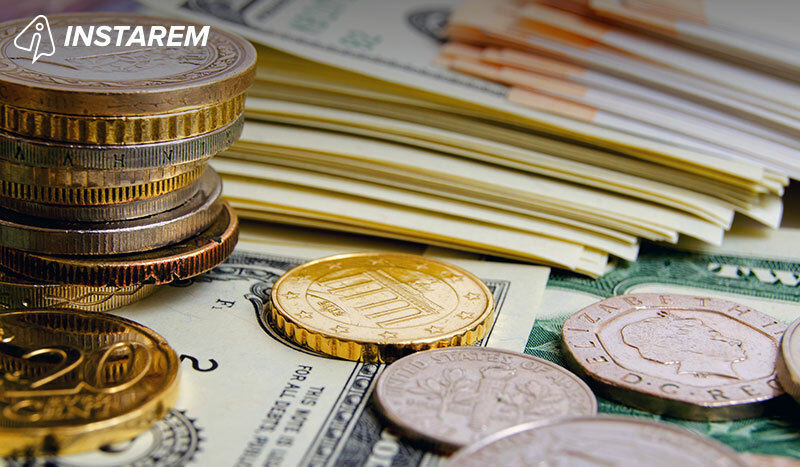 With Real-Time FX Rates the service provider remits your money without adding any profit margin. Now you must be wondering why banks and other online remittance service providers add profit margins to FX Rates, and whether they give Real-Time FX Rates to customers? Read on to know more. Foreign Exchange rates are determined in the foreign exchange market, which is open to different types of buyers and sellers, and where currency trading goes on 24 hours a day, except weekends, i.e. trading from 20:15 GMT on Sunday until 22:00 GMT on Friday. Unlike stock markets where there is a centralised physical exchange, foreign exchange market is an over-the-counter (OTC) market, where trading is done directly between two parties, without the involvement of an exchange. There is no centralised foreign exchange market! In an OTC market, participants trade with one another through various communication modes such as the telephone, email and proprietary electronic messaging/trading systems. In terms of trading volume, the foreign exchange market, whose participants include banks, international corporations, central banks, investment management firms, hedge funds, retail forex brokers, and investors; is by far the largest market in the world. A forex spot rate is determined by supply and demand of currencies. Banks all over the world are buying and selling different currencies to accommodate their customers’ requirements for trade or to exchange one currency. The sum total of all banks selling dollars and all banks buying dollars creates a supply and demand for U.S. Dollars. Like in any market, if the demand for dollars increases, then the dollar will appreciate against other currencies. If the demand drops, then the dollar depreciates against the other currencies. The rates are set by all the participating banks bidding and offering currencies all day long amongst each other. These rates are used for trading in the foreign exchange market, remitting money overseas, etc. They serve as a reference point for two interested parties to conduct a foreign exchange transaction. When you go to the banks and most online providers to convert currencies, you most likely won’t get the market price that traders get. The bank or currency exchange house or even remittance firms will markup the price so that they can make a profit. If the USD/AUD price is 1.30, the market is saying it costs 1.30 Australian dollars to buy 1 U.S. dollar. At the bank though, it may cost 1.40 Australian dollars. The difference between the market exchange rate and the exchange rate banks charge is where banks part of their profit. To calculate the percentage discrepancy, take the difference between the two exchange rates, and divide it by the market exchange rate: 1.40–1.30 = 0.10/1.30 = 0.076. Multiply by 100 to get the percentage markup: 0.076 x 100 = 7.6%. However, since it is an OTC market, you do not get to see the exact price at which your currency is converted by the bank. Yes, it’s not illegal and is an authorised trade practice. However, it is unfair from a clients’ point of view since they end up losing a significant portion of their hard-earned money to the money transfer service provider. One can check the exact conversion price live on sites such as Reuters, Google, xe.com, bloomberg, etc. 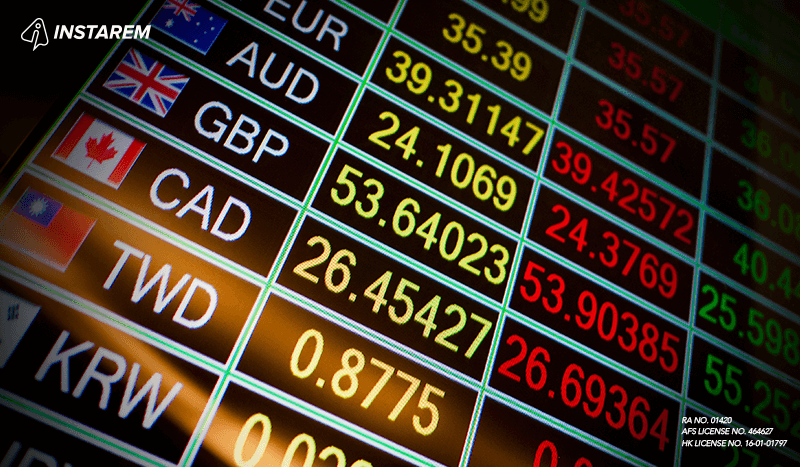 These are some of the most reliable sources for live or real-time foreign exchange rates. Invariably, there will be some difference between the rate offered by your bank / money transfer operator and what you see on these site. That’s not really an option as it’s a valid business model. Central banks, who regulate banks, do not direct banks on the foreign exchange conversion rates being charged to the customers. But guess what, you can totally avoid unfair FX rates by choosing a remittance platform like InstaReM which gives you real-time foreign exchange rates on your overseas money transfers. 9 Things You Must Know About Foreign Exchange Rates and International Remittance was originally published in InstaReM on Medium, where people are continuing the conversation by highlighting and responding to this story. 9 Things You Must Know About Foreign Exchange Rates and International Remittance 7 Key Factors That Influence Foreign Exchange Rates What Is Foreign Exchange Risk & How To Minimise It What Is The Relationship Between Interest Rates & Exchange Rates?